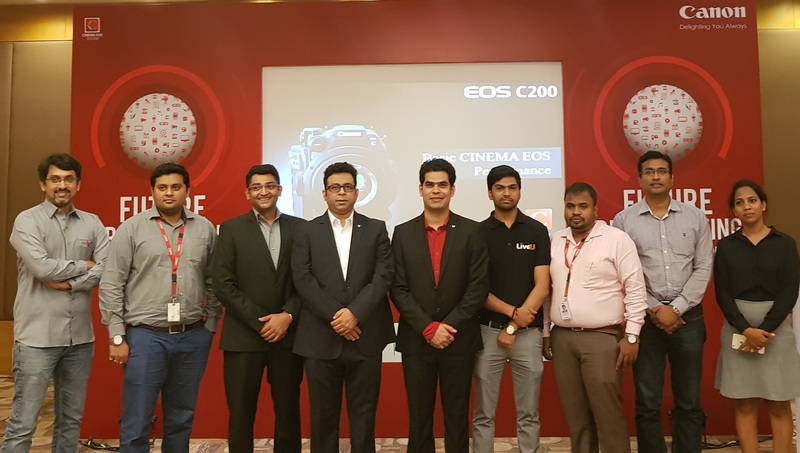 India, August 01, 2018: Inaugurating the ninth edition of Canon India’s extensive Cinema and Pro DV project ‘Future Broadcasting’, Bengaluru is all set to welcome the future of cinema trends. The project accomplished in collaboration with leading industry experts, including Avid/Real Image (a division of Qube Cinema Technologies), LiveU, G-Technology from Western Digital and Atomos, witnessed a series of workshops and events, designed to give hands on experience on products like Cinema EOS C200, Cinema EOS C300 Mark II and XA 15 & XF 405 along with ME20F-SH(Multi-purpose camera. )With a firm focus on its objectives, the project got industry experts to demonstrate the workflow of these superlative solutions, confirming that these solutions will lead the forthcoming trends in the Cinema and PRO DV segment.